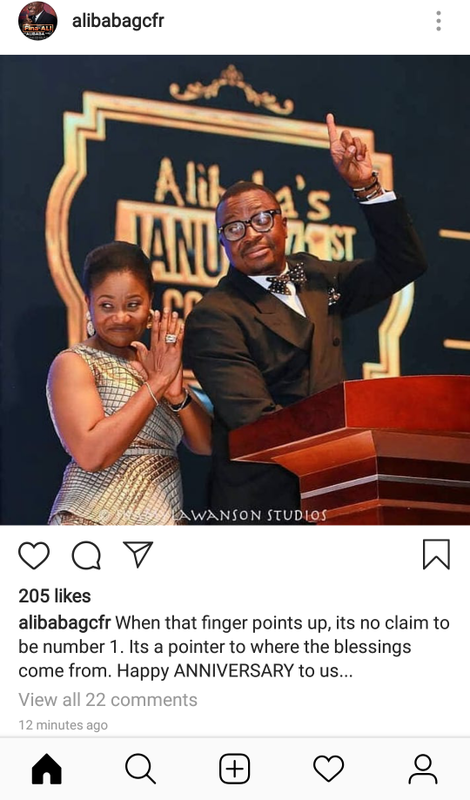 King Of Comedy Alibaba And wife celebrate 13th Wedding Anniversary. Today April 15th is the 13th wedding anniversary of Veteran Nigerian stand-up comedian and actor Atunyota Alleluya Akpobome, professionally known as Ali Baba, celebrates 13 years Anniversary with his wife Mary Akpobome. Previous articleSallah’s Liverpool Beat Chelsea 2-0 . Next articleTiger Woods, 6th In World Gulf Ranking. Woman Forgets Her Baby At The Airport.